The first midday cannon salute in Sevastopol and Nikolaev was in 1819, on the orders of the commander of the Black Sea Fleet Admiral Greig, as a way of synchronizing and testing the clocks of ships, churches and the admiralty. 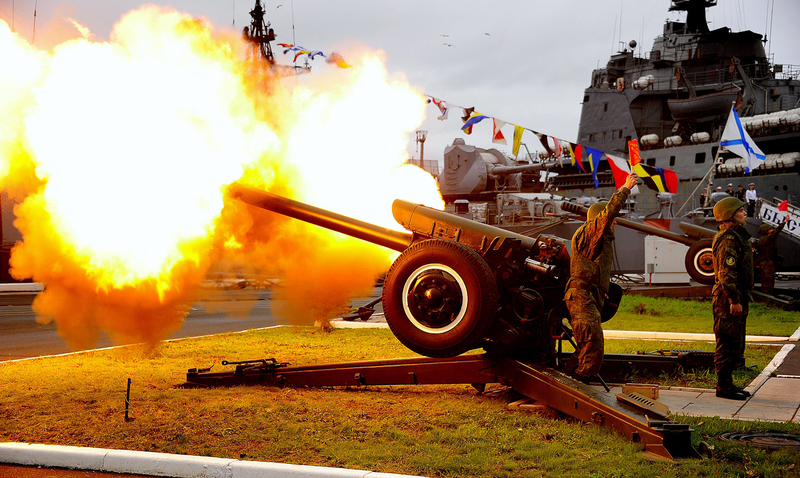 A midday artillery salute at the main naval base of the Black Sea Fleet in Sevastopol will soon once again be a daily event. The commander of the Black Sea Fleet, Admiral Alexander Vitko, has decided to revive the historic tradition, according to the official website of Russian Defense Ministry. Every day at 12:00 noon (Moscow time), a blank shot from an 85mm naval gun will be fired from the grounds of the historic coastal battery next to the Konstantinsky Ravelin. The artillery regiment of the Black Sea Fleet will be responsible for the cost of the ammunition, weapons, technical maintenance of the arms, and the timing of the salute. The tradition of the midday shot has been paused at different times throughout the base's history, but has always been reinstated as one of Sevastopol’s most important symbols.